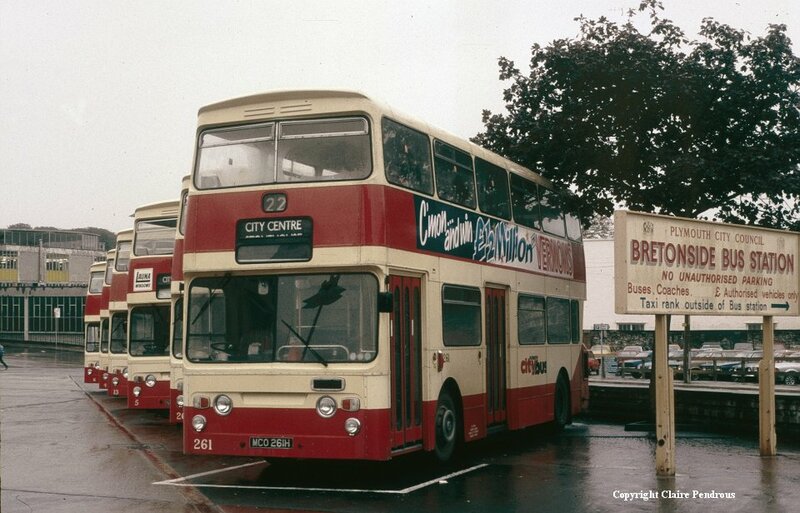 A wonderful shot that captures Bretonside Bus Station back in 1986 - Line up of Citybus Atlanteans, a very scruffy Bretonside sign - and its raining! You may have noticed a slight gap in proceedings here on Plymothian Transit. This was because I was unexpectedly admitted to hospital on Wednesday. I went in for an outpatient appointment for routine tests to investigate my ongoing chest problems - which through up some interesting results and they admitted me straight away. It did look like I would be in until the middle of next week at least, but they managed to fit me in for an angiogram a lot quicker than they expected - which was brilliant. Even better was that it actually showed that my heart is in good shape and that I don't have angina, despite what the initial tests showed. Still off work and taking it easy until they do know what is going on, but at least the worse case scenario has now been ruled out! I did try to post on the blog, using the patientline service which supposedly offers internet access but even on the few occasions it did work, blocked access to blogger. It also crashed twice leaving me without TV for over half of my stay because I had used the internet. All in all a very poor service indeed. Apart from that I cant fault anything else at Derriford Hospital. If you are going to be poorly - its a good place to do it - just don't believe the doctor when he says something doesn't hurt!